I truly believe in that making a meaningful contribution is essential to the making of a true leader. It’s a belief that stems from years of travelling the globe and working with organisational leaders at all levels. Those that delivered real change – change that is integrated into the culture of an organisation and which became a pivotal turning point for their teams and their businesses – were collaborators. They didn’t talk as much as they listened. Critically, they inspired outside of the boardroom in a truly benevolent manner. This is my leadership style. It’s also the leadership style I inspire in my clients. Because truly – nobody is more important than you. But you are no more important than anyone else. My mum says I was born to lead. From the age of eight I was busy writing and producing my own weekly newspaper, joining the school debating team, and always finding new projects to inspire the change I wanted to be in the world. While I mentor in public speaking, public relations, media interviews, and everyday communications, I’m also about the long game – seeing how I can use these skills to add value to organisations that I believe in. I’m currently an active Board member for Women for Election Australia, as well as the Central Coast Sports College. Why Women for Election Australia? I believe in fostering leadership. 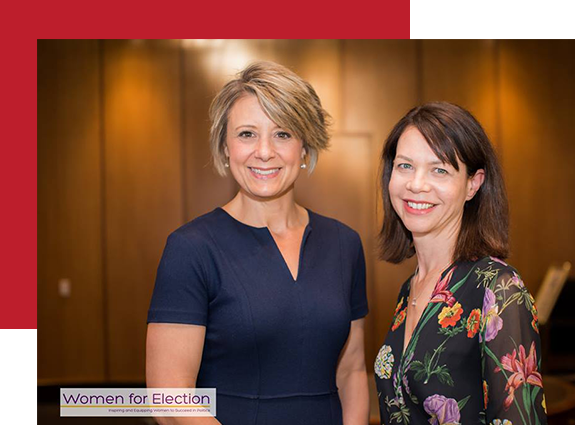 Women for Election Australia is a not-for-profit organisation that’s issue-neutral while supporting women to develop skills to influence the way politics is done in Australia. Both men and women should be driving us forward. With a vision to ensure gender balance, we’re committed to supporting women in obtaining the very best training and support to make a difference. From encouraging political participation and helping women enter the political arena through to equipping them with the tools and techniques to be the best candidate they can be, the organisation is building the leaders of today and tomorrow. I’m all for it. "Amber joined the WFEA board at a critical time in our evolution. She inspired the Board with her energy, her generosity and her professionalism. Her achievement in strategising and delivering our communications plan was pivotal not only to the success our first Masterclass in August 2017, but Amber also clearly articulated the role of WFEA. She is a delight to work with and I thoroughly recommend her to anyone who wants a Board member full of ideas and ready to lead a team to collaborative success." 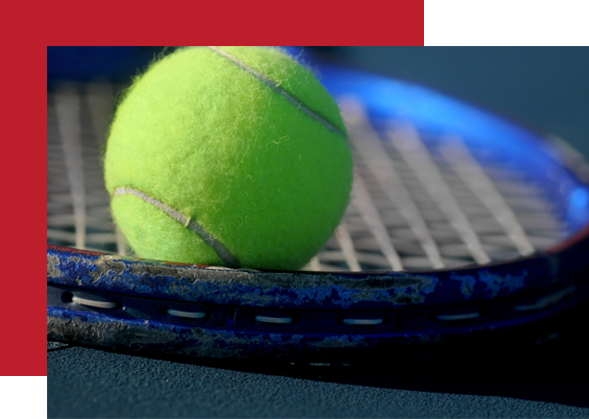 Why Central Coast Sports College? I find innovation exciting; doing something different to the way it’s always been done is a true example of leadership. The Central Coast Sports College embodies this for me – their approach to education is unique to suit their student needs. And it goes beyond their vision to restore balance in the lives of sporting families. This is a school that encourages leadership and hands responsibility for learning back to the student. Their students are mentored and guided, empowered to initiate and investigate, and supported to develop the skills needed to become independent thinkers – exactly what we want in our future leaders. 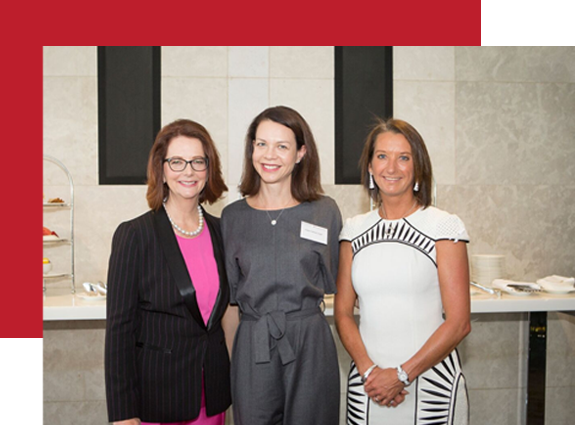 "Amber recently joined the board of IFTS and has been a valued member of the Board already with some sage advice in regards to PR and communications. Amber’s professionalism, non-nonsense approach to get the job done and her focus on high quality, integrity and value are apparent in her interactions with the Board already. Amber also has a very wide world view, and this perspective will lead to some valuable and insightful perspectives in the future. Very excited to have Amber on our Board and have confidence her expertise will lead the school onto our next phase of growth."